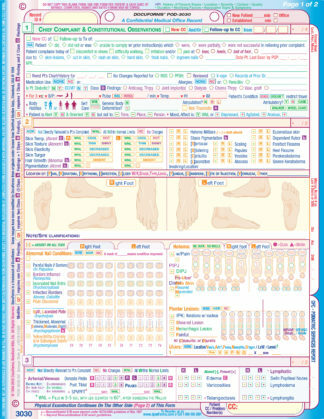 DocuForms’ POD-2020 Podiatric Patient Physical Exam Form is our most extensive general pediatric exam form. 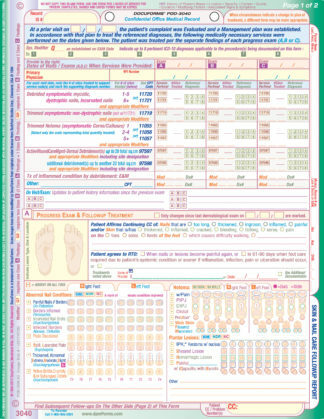 Many podiatrists using DocuForms find it easy, and consider it wise, to do a more extensive physical exam for initial visits using this form in conjunction with our POD-3010 General S.O.A.P. Note. The POD-3010 is used primarily for the Assessment and Procedure/Plan sections. 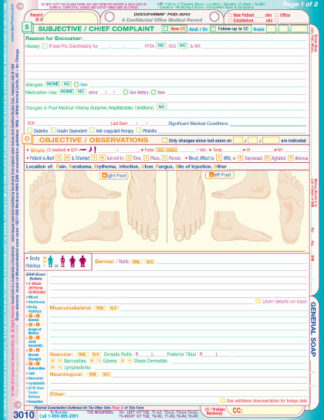 DocuForms’ POD-2020 Podiatric Patient Physical Exam form documents situations beyond the scope of the POD-3030 Podiatric Services Report. 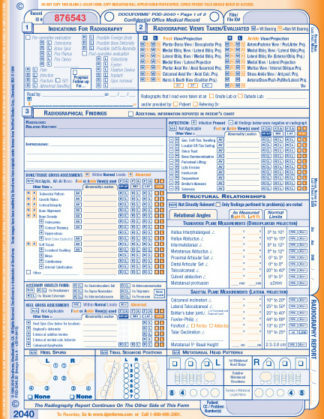 By eliminating the Assessment and Plan portions of the POD-3030, this form allows you to document a more extensive pediatric exam. 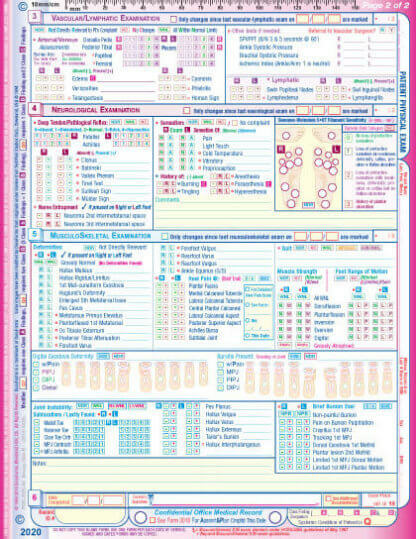 It includes, however, the exam findings about which podiatrists really care. 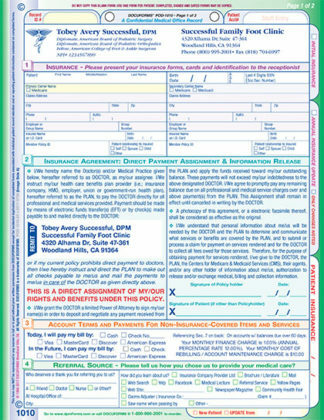 In doing so, this form goes beyond Medicare requirements in the E&M documentation guidelines, but this may be what is required from a medial/legal standpoint to document more complex problems, such as those requiring bone surgery or when the patient’s past medical history reveals a more complex etiology. 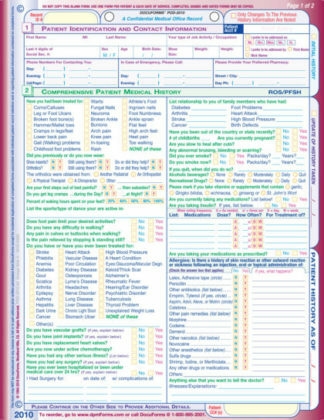 Many podiatrists using DocuForms find it easy, and consider it wise, to do a more extensive physical exam for initial visits using this form in conjunction with our POD-3010 General Podiatric S.O.A.P. note. They use the POD-3010 to focus primarily on the Assessment and Procedure Plan sections. Whether you choose to use the POD-3030 or the POD-2020, each form addresses the Medicare requirements for documenting podiatric services and medical necessity. By indicating the “bulleted” components of each system, both forms prompt you to record the level of detail for each exam element as required by the 1997 Documentation Guidelines. Both forms include 19 exam elements right on the form so that you can instantly know which of the possible exam elements you have completed. Exam items going beyond what is required by Medicare are noted throughout the exams with the ° symbol. Both exams begin by capturing the patient’s chief complaint(s) and allow you to review, confirm, and update as necessary the patient’s past and current history. Next, objective findings of a detailed pediatric examination are recorder along with negative findings. Positive findings are developed and elucidated to the level of detail required by Medicare. The POD-2020 (and the other DocuForms exam forms) inform and prompt you to supply the required level of detail that Medicare is looking for. As an example, the vital signs element section tells you that you need to record at least 3 vital signs to earn the bullet. Further, the forms prompt you to provide the required additional level of detail in these matters. For example, for the blood pressure vital you’re prompted with icons to indicate whether the patient was in supine, sitting or standing position when the B/P was taken. The pictures in the dermatological section can be used to document the location and size of many skin conditions as well as injection sites. This is a real time-saver over covering or reviewing this information in a traditional narrative-style note. The POD-2020 is so quick and easy to complete that you can choose to do more extensive exams without fear of substantially increasing your documentation time requirements. Your clearly noted positive and negative findings will present a clear picture of the patient’s foot health status. When it’s appropriate, you can code higher-level, better-paying codes with confidence, knowing that you have the requisite level of documentation to support them. The POD-2020 uses, as its foundation, all of the prompts and features of the exam on our POD-3030 Podiatric Services Report. 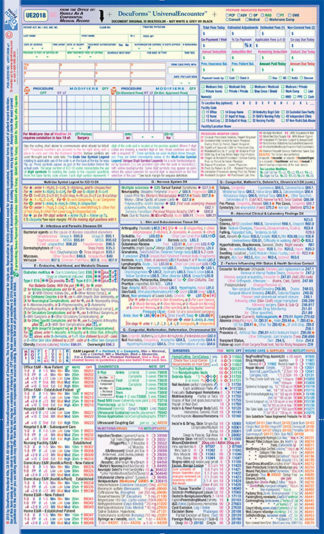 It covers up to 19 Medicare/AMA Bullets/Exam Elements plus Class-finding indicators just like the POD-3030. Omitting the Assessment, Plan and Procedures sections of the POD-3030 provided for the incorporation of additional exam elements to form a more detailed exam. In section 2, the Dermatological exam has the addition of “foot masses” and “scars.” In sections 3 & 4 there are more complete Vascular, Lymphatic and Neurological exams. Section 5, with its Musculoskeletal exam, has the most added detail, such as dedicated sub-exams for “heel pain,” “bursitis” and “bunions,” which are not found on the POD-3030. You won’t find a more efficient or cost-effective method of documenting such a complete exam. The money you’ll save from reduced transcription costs will save you many times the cost of this form.